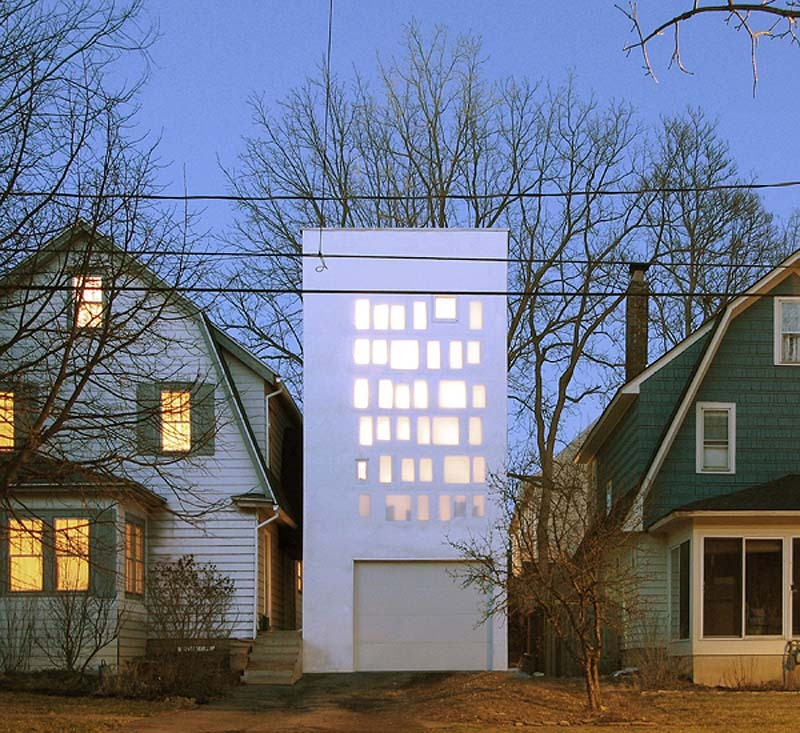 Designed by Brooklyn-based firm Para-Project, the Haffenden House in Syracuse, NY, departs from the traditional “house”, breaking the repetitive suburban landscape. The house, designed for two poets, includes a library and writing space on the second floor, a curved reading room above that, and a garage at its base. The 1,125 sq. 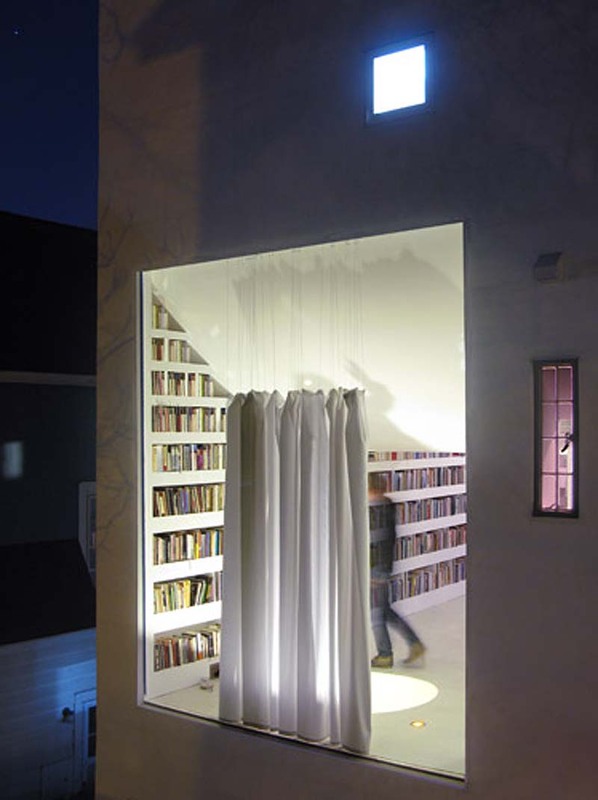 foot building is wrapped in a white fabric made with silicone-impregnated fiberglass. The fabric adheres to the façade with the exception of the glass windows. The space between the glass and fabric create a fuzzy quality, allowing light in, yet providing a certain amount of privacy from the street. The back windows are not screened, offering an open view to the backyard. All images courtesy of Para-Project.